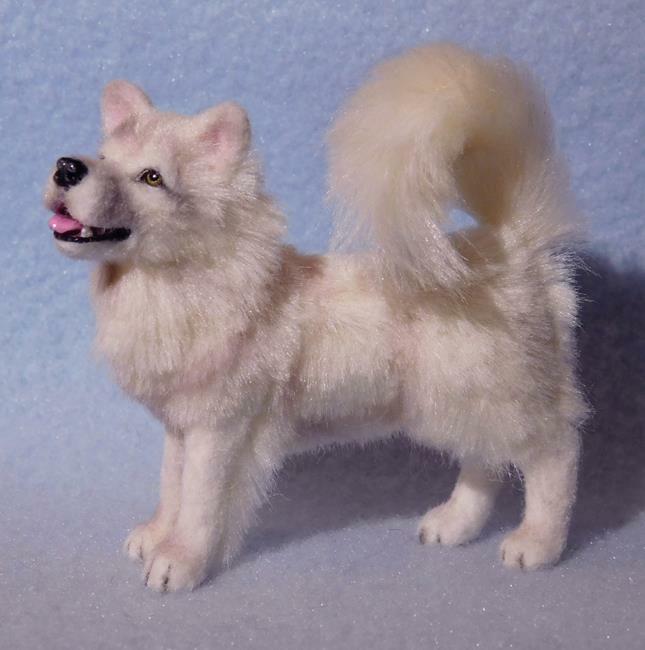 Today I finished this Samoyed, it seemed an appropriate breed to work on due to a large part of the country experiencing some really cold weather, my state included! It made enduring the cold more fun for me! I first carefully sculpted him in polymer clay, painted the tiny details then applied the white silk fiber one layer at a time and trimming as I went along. I made the eyes in a separate process giving him a lifelike appearance. I will send an original digitally signed certificate of authenticity via email to the new owner. This smiling Sammy would make a great addition to your dollhouse collection!